Mini version of our mineral-rich, all-natural lavender bathing salts. Help soothe your stressed-out senses with a leisurely aromatherapy soak! This little jar of our all-natural lavender bath salts is calling your name! Mineral rich salt baths are a wonderful way to help detoxify the body while softening, toning + exfoliating the skin. Help soothe your sore muscles and your stressed senses while quietly helping to rid your body of impurities, leaving soft, clean and delicately scented skin. As you relax, the clean, fresh scent of lavender will permeate the air, easing tension + stress. Sea Salt, Dead Sea salt, Himalayan pink sea salt + lavender essential oil. Pour lavender bath salts into a warm running bath for an aromatic relaxing soak. 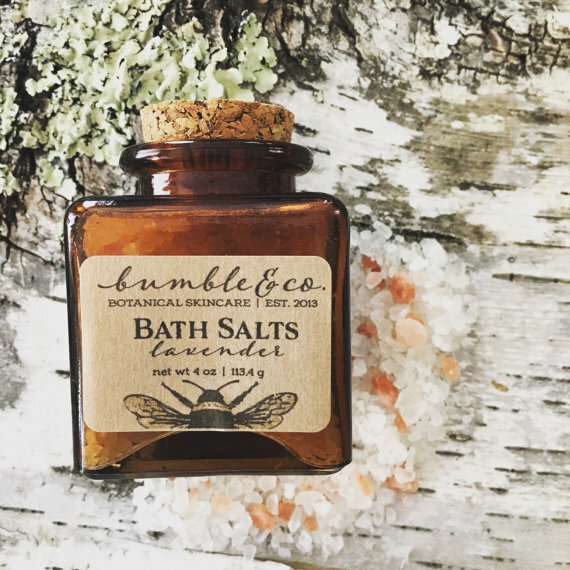 Check out our Bumble & Co. Bath Collection for more wonderful all-natural bath products including our floral bath salts. 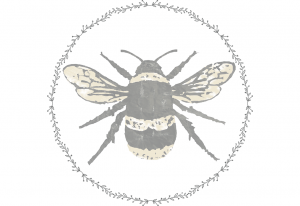 Bumble & Co. bath products make wonderful gifts for Mother’s Day and other special occasions. If you are buying products for a gift, get in touch and we’ll add a gift note with your delivery. Just send us the name of the recipient + your personal message and we’ll do the rest. There is no additional charge for this service.